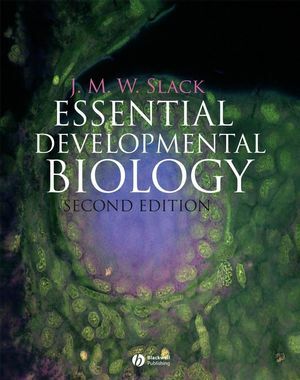 Essential Developmental Biology, 2nd Edition, is a concise and well-illustrated treatment of this subject for undergraduates. With an emphasis throughout on the evidence underpinning the main conclusions, this book is suitable as the key text for both introductory and more advanced courses in developmental biology. Includes new chapters on Evolution & Development, Gut Development, & Growth and Aging. Contains expanded treatment of mammalian fertilization, the heart and stem cells. Now features a glossary, notated further reading, and key discovery boxes. Illustrated with over 250 detailed, full-color drawings. Accompanied by a dedicated website, featuring animated developmental processes, a photo gallery of selected model organisms, and all art in PowerPoint and jpeg formats (also available to instructors on CD-ROM). Professor Jonathan Slack has worked in London and Oxford and is currently Head of the Department of Biology and Biochemistry at the University of Bath in England. He is a member of the European Molecular Biology Organization and a Fellow of the Academy of Medical Sciences. He is a leading authority in developmental biology and has published over 150 scientific papers, as well as the well-received monograph From Egg to Embryo and the lighthearted and popular Egg and Ego. 1 The excitement of developmental biology. Where the subject came from. 2 Common features of development. Genomic equivalence, cloning of animals. 5 Techniques for the study of development. Study of gene expression by biochemical methods. Study of gene expression by in situ methods. Section 2: Major model organisms. Regional specification of the early embryo. Description of organogenesis in the chick. Other topics in mouse development. Overview of the developmental program. Regional specification in the embryo. 13 Tissue organization and stem cells. 14 Development of the nervous system. Overall structure and cell types. Anteroposterior patterning of the neural plate. Dorsoventral patterning of the neural tube. 15 Development of mesodermal organs. Germ cell and gonadal development. 16 Development of endodermal organs. Genetic study of larval development. Regional patterning of the wing disc. Section 4: Growth, regeneration, and evolution. 18 Growth, aging, and cancer. Postnatal disorders of growth and differentiation. 19 Regeneration of missing parts. What really happened in evolution? Comprehensive, richly illustrated introduction to all aspects of developmental biology. Accompanied by a devoted website, featuring animated developmental processes, and all art in PowerPoint and jpeg formats (also available to instructors on CD-ROM).